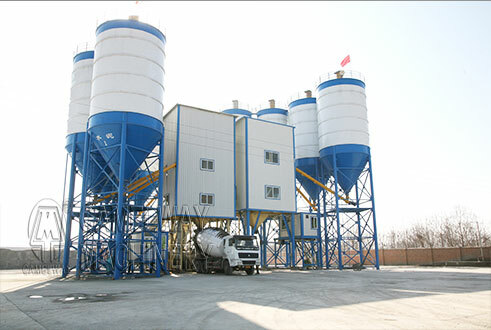 Zhengzhou CamelWay Machinery HZS series commercial concrete plants for sale in the market is widely used to produce commercial concrete, so people like to call it commercial cement batching plant. It is a full set of concrete mixing equipment, including the following parts: concrete mixing system, aggregate batching and weighing system, cement weighing system, water weighing system, additive weighing system (optional), cement silo, screw conveyor, full automatic control system, etc. High efficiency, low invest, high return. Skip hopper or belt conveyor feeding system, cost effective. Mixing system uses the spiral mixing system , which has high efficiency , scale board and mixing blades adopts high-rigidity and high tenacity wearable case alloy steel, to prolong the working life. Structural members are durable, and most electric elements adopt world famous brands. Zhengzhou CamelWay Machinery HZS series commercial concrete batch plant, as the name suggests, are ideal equipments to produce commercial concrete, no matter to produce plastic concrete or to produce dry hard concrete, etc. Commercial concrete mixing plants are widely used for water conservancy, electric power, railroad, road, tunnel, the arch of bridge, harbor-wharf and the national defense-project etc.